One material that has seen a huge surge in popularity in the last few years is bamboo. It’s now being made into everything from cutting boards to floors. If you’re thinking of replacing the flooring in your home or office read on to discover 5 benefits of bamboo flooring. Bamboo is a renewable resource. It is a fast growing grass that can be harvested in as little as five years. In addition, when bamboo is harvested the root system remains intact and produces new shoots. As a result there is no need to replant bamboo when it is cut. 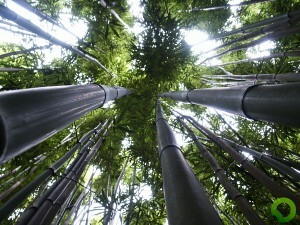 Finally, bamboo is grown with a minimum of fertilizers and pesticides. Bamboo resists both mildew and insects. It also resists dust mites and so is a good choice for those who suffer from allergies. Bamboo flooring can be finished with water-based finishes and installed with low-VOC adhesives. Doing this means limiting the number of harmful chemicals in your home. If you’re looking for a stylish new floor look no further than bamboo. 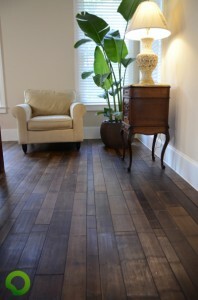 Bamboo is one of the most versatile flooring materials on the market. It comes in a large variety of colors and finishes so you are sure to be able to find one to match your existing decor. A bamboo floor can make any room warm and inviting. In addition, bamboo can be installed in many different locations and climates. When harvested at its peak bamboo is extremely hard and strong. As a result bamboo flooring is very durable. 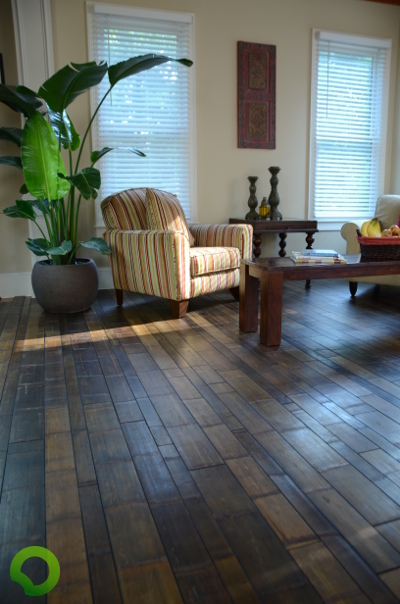 A properly taken care of a bamboo floor can last for decades. If a bamboo floor does become damaged it can often be sanded down and refinished. This is a much easier and cheaper option than installing a new floor. In addition bamboo resists water. This means that it is less susceptible to water damage than hardwood flooring. Bamboo flooring is very easy to clean. It should be swept or vacuumed regularly to remove dirt. Spills should be cleaned up with a rag or damp mop. Are you in the market for new flooring? Which of these 5 benefits of bamboo flooring appeals to you most? Bamboo flooring is such a crowd-pleaser, it has stunning unique beauty. Thank for sharing! This ideas is extremely useful and I am definitely going to save them for future reference on my next flooring project! Keep up the good work. Grand Opening of dasso Group’s 8th factory.